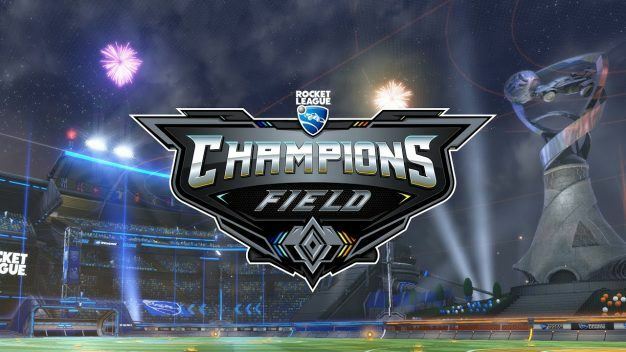 After 3 long days of nice shots, great passes, and epic saves, the Rocket League World Championship – hosted at the Wiltern Theatre, CA – has finally pulled the handbrake and taken the keys from the ignition. A characteristically hard-fought set of group stage eliminations culminated in some of the most nail-biting Rocket League I’ve ever witnessed, and saw No. 4 seed from the EU Northern Gaming beat Mockit Esports in the final to take the title. For the uninitiated, the Rocket League season has been in progress for the past few months, from league play through to the NA/EU championships in May. The World Championships saw 10 teams (four qualifiers from each regional championship, plus two teams from Oceania) compete for a portion of the total $150,000 prize pool. And as they say each time Rocket League goes professional: this was the largest prize pool and most-watched event in the game’s 2 year history. Not bad, eh? So let’s talk Northern Gaming. After a slightly shaky start that saw them lose in 3 straight matches to North American champions NRG Esports, the EU team dropped into the lower tier, and then proceeded to demolish Denial, Rogue, The Leftovers, and NRG (no shortage of satisfaction there, I imagine) without losing more than one game per match to earn themselves a well-deserved place in the grand final. 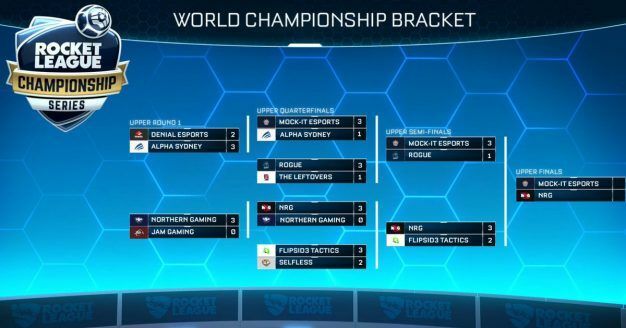 Mockit Esports had a slightly less stressful time of it, dominating Alpha Sydney and Rogue to find themselves head to head with NRG Esports in the upper tier semi final. I pause here because this was an extraordinary match, that saw NRG take the first game a whopping 6-0, and proceed to win the second as well. Reeling from aggressive tactics from NRG – kick-off goals and intentional bashing – the EU team fought back with enough strength to bring it level going into game 7; a frantic battle finished the match series off with a 2-1 victory going to Mockit. 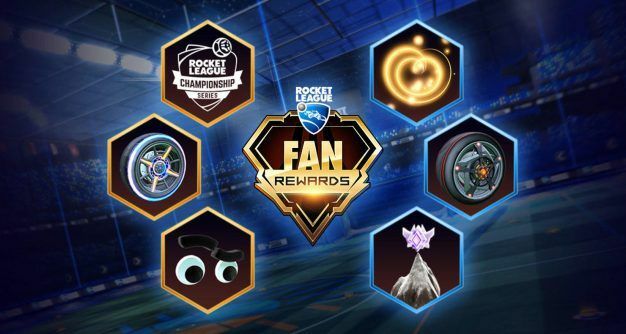 Rewards were offered for Twitch users who had linked their account and watched the stream. I got some wheels (yay). Comprised of two matches of seven games apiece, the grand final was a little like wading through treacle for both teams, as extreme caution and close games characterised the play. Northern Gaming took the first match with four games to Mockit’s two, and though Mockit again proved their ability to rally in the face of overwhelming odds they couldn’t quite push for the vital fourth win in the second of the two matches, losing to Northern Gaming by one game in a close 4-3 finale. 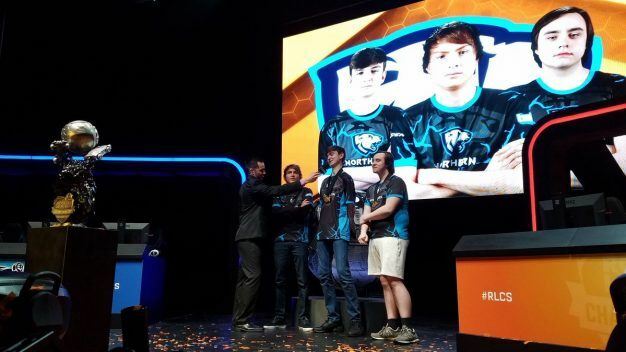 Northern Gaming’s very own Deevo took home the MVP of the Tournament award, in recognition of an extraordinary shift throughout the weekend including some frankly incredible goals (check this one out in particular). He and his teammates Remkoe and Turbopolsa have gone home with a $55,000 share of the prize money, as well as a huge trophy and no small amount of Rocket League fame. Calculated. Rocket League turns 2 in a month. In other Rocket league news, the car-football game turns 2 next month, and will be celebrating with an update that includes a new arena, two new vehicles, and the new ability to customise your goal explosion and engine sound. Expect this one to drop on July 5th for console and PC.